How to make a christmas dinner table centrepiece in 4 steps! Genevieve Taylor's simple but stunning Christmas table centrepiece is a gorgeous edible tower of lebkuchen. A perfect creative project to occupy the kids in the run-up to Christmas day. Here are her simple step by step instructions. It takes quite a lot of prodding and pushing from my kids to tip me into a Christmassy mood. Like an old Scrooge, I am reluctant to enter in the spirit of things until we reach December, then I finally allow them to carry me along in an ever-building wave of frenzied excitement. Nostalgia for childhood rituals is the best way to get me festive, and one of the things I remember most fondly was gorging on chocolate coated lebkuchen. We used to called these spiced gingerbread cookies 'German funnies', a name that still raises a chuckle from deep inside. This year, I plan to get creative with my kids using a couple of packets of lebkuchen to make a sort of croquembouche inspired edible festive tower. Sounds complicated, but it’s not! Take an empty cereal box and open it out flat, trimming off all the flaps, then roll it into a large cone, sticking it together with tape. Cover with a layer of tin foil. Trim the bottom so it sits level on a serving plate. Make up a bowl of simple glace icing, keeping it quite thick so it’s sticky. Pipe a generous ribbon of icing about the size of the cone’s base onto the plate. Stick the cone down, don't worry if it seems a little wobbly - it should become more secure as the icing sets. Pipe little dollops of icing onto the underside of the lebkuchen and, starting from the bottom and working up, stick the lebkuchen all over the cone, keeping the cookies as close together as possible. Fill in any gaps with glace cherries, nuts or miniature baubles - again using the icing to stick them down. Be imaginative, using whatever shiny, edible or non-edible bits and bobs that take your fancy, perhaps with something special - an angel, reindeer or star - for the top or even a sprig of holly. Finally, brush the lebkuchen with a little edible glitter or gold dust for a bit of extra bling and put to one side for the icing to set. These make a lovely table centrepiece and are a great thing to keep small hands creatively occupied in the run up to the festivities - why not get them to make one each and have a competition? 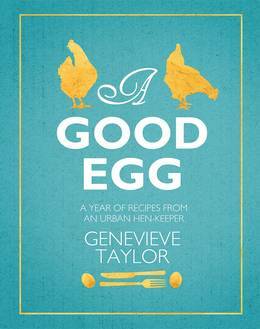 Genevieve Taylor's books, Marshmallow Magic and A Good Egg, are both out now. Over 100 wonderful recipes which use eggs for all occasions and throughout the year. 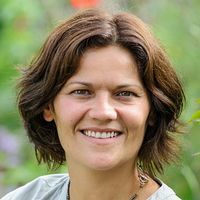 Genevieve Taylor is an author and food stylist who splits her time between food writing and creating beautiful food for photography. 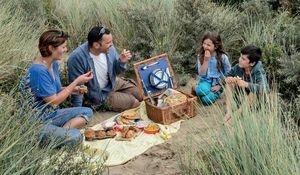 With picnic season in full swing, we asked Genevieve Taylor, author of How to Eat Outside, to give us her top tips for al fresco dining. 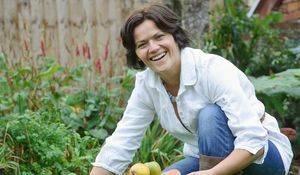 The Happy Foodie caught up with urban hen-keeper, food stylist and A Good Egg author Genevieve Taylor to find out why Nigel Slater is her food hero, and how she turns out the perfect poached egg every time. 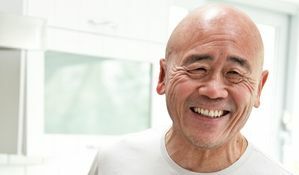 Britain's best-loved authority of Chinese cookery, Ken Hom, wants us all to explore the rich and varied cuisine of China at home. Here are his top tips for beginners who want to cook Chinese food.